The ACL is one of the deep internal ligaments that binds the femur (thigh bone) to the tibia (shin), and stabilises the knee joint. 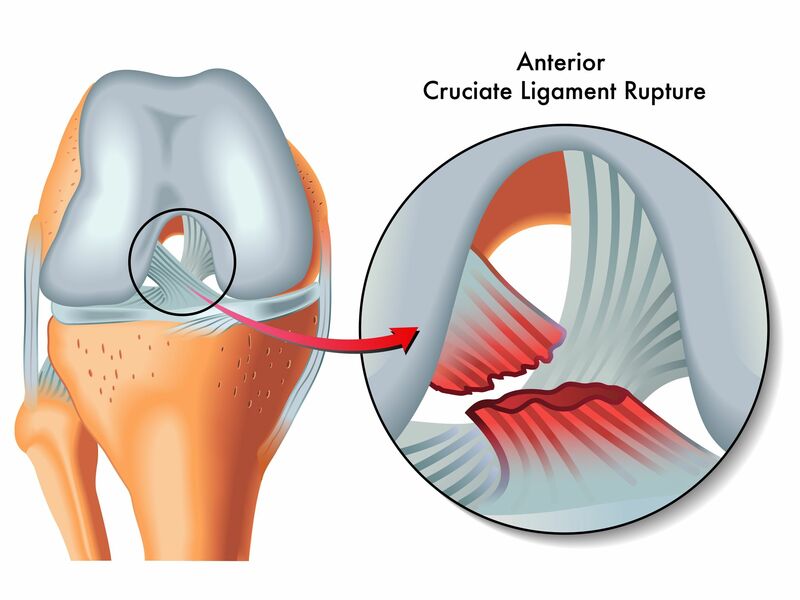 Anterior Cruciate Ligament (ACL) injuries can occur as a result of sports (often contact sports) when the knee is hyperextended with force, often being hit from the side. This can happen as a result of a directly applied force to the knee (such as a tackle), when the foot is fixed, thereby hyperextending the knee and rupturing the ligament. High-risk sports include rugby, football, and skiing. Pre Op: Normally subsequent treatment would involve appropriately tailored pre-operative physiotherapy input, with a view to strengthening and restoring as much motion as possible prior to orthopaedic surgical repair. Physiotherapy can consist of joint mobilisations, electrotherapy to reduce swelling and exercises. protocols to ensure effective recovery, and to avoid repair failure. Sometime surgery is not necessary if the person is over a certain age or not particularly active with regards to sport.